We used to have a huge, beautiful wood crafted table centered on this rug at the Trading Post but, we sold it! These wicker chairs used to sit around it and since it is no longer living in the shop we had to rearrange and redecorate. 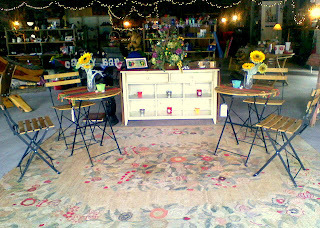 Liz moved these cute cafe tables onto the rug and I moved them in closer to this old dresser with shelves. I also added some mix and match candles from around the store. Some kids even sat in this little cafe area today. Not only is this space now visually appealing but, its functional! I moved these other chairs to the opposite side of the shop and filled this old basket with magazines, books and a candle. I think the two cozy spaces are adorable and hope people actually decide to sit in them, or even better, choose to buy them so they can recreate a similar area in their own homes! 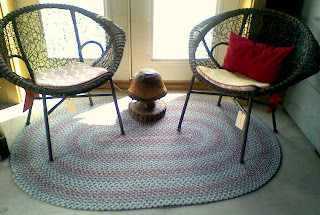 These chairs had nowhere to go after the table left so, I created two mini relaxing areas around the store. I moved this rug with the chairs over to our coffee bar, so people can sit and relax if they decide they want coffee. I used this wood carved mushroom to go in between them. 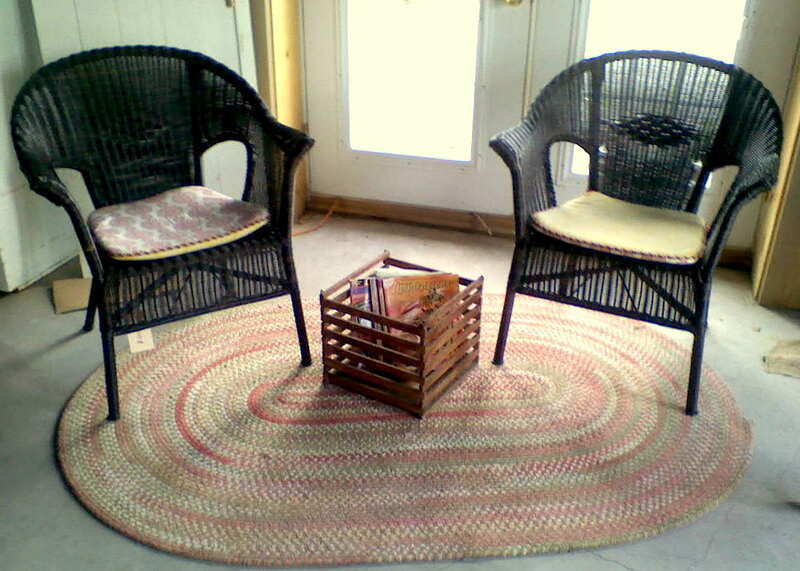 I might even sit here tomorrow and quilt with some coffee. I still have to finish hand stitching the binding on my quilt for my dorm room but, pictures will be up soon hopefully.